in Warren, NJ guides you and helps you achieve your goals. Protect your future well-being and financial security with a long-term care insurance policy. If you’re not able to care for yourself, this coverage helps you pay for services like home health care providers, assisted living facilities or nursing homes. These services can quickly become expensive and may not be covered by your health insurance. This coverage helps to defray the cost of daily care. Call Chartered Financial Services in Warren, NJ today at 800-549-6007 to learn more about life insurance quotes and coverage or contact us if you have any additional questions. If you become ill or disabled, you may need help with simple, daily tasks like getting dressed, bathing and eating. 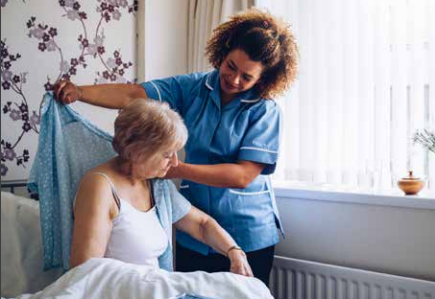 Long-term care coverage provides financial support for this kind of care, which can allow you to stay in the comfort and familiar surroundings of your own home for as long as possible. In general, long-term care coverage provides you with a daily financial benefit that’s used to pay for care you receive from an assisted living community, nursing home, or home health care provider. The amount you receive depends upon the policy you purchase. It can be anywhere from about $50 a day to upwards of several hundred dollars per day. Your insurance carrier will provide you with daily benefits for either a predetermined length of time or up to a certain monetary limit. Typically, there are two ways you can receive benefits. You can either receive a certain amount depending upon the services you use, or be paid a flat rate. The ways benefits are administered depend upon the terms of your specific policy. It can be difficult to predict how much care you’ll need later in life. Long-term care coverage can be an excellent way to help ensure you remain financially secure. If you have concerns about paying for long-term care out of your own pocket, this coverage may be a good choice. Keep in mind there is no single policy that is right for everyone. Some of the factors you should consider before purchasing a policy include your current financial situation, your age, your health, if you have a support system that may be able to help with your long-term care and how much coverage you may need. It’s easier to decrease your level of coverage later, but it’s typically more difficult to increase it. The professionals at Chartered Financial Services can help you determine whether a long-term care insurance policy is a smart purchase for you. We carry a variety of Long-Term Care providers such as John Hancock, Mutual of Omaha and Transamerica. Call Chartered Financial Services in Warren New Jersey today at 800-549-6007 t if you would like more information regarding our Long-Term Care providers or contact us if you have any additional questions.